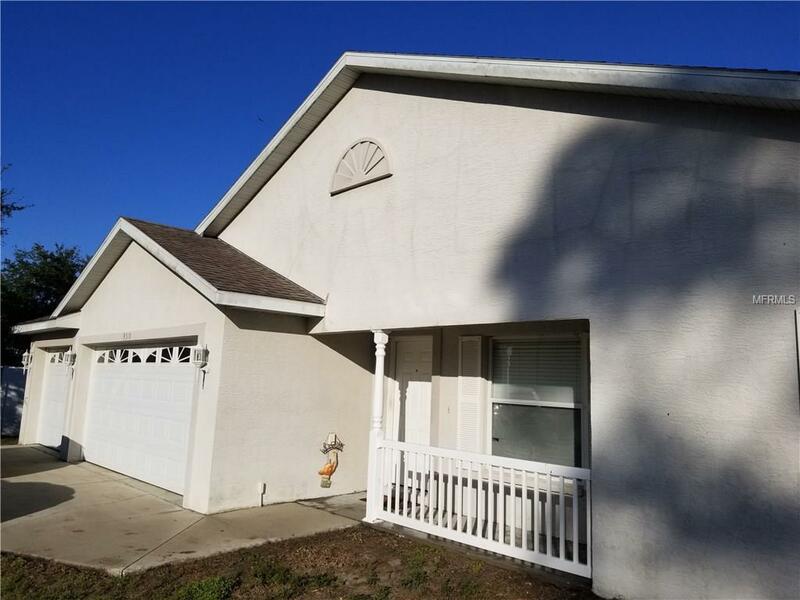 ***Short Sale*** This spacious 4 Bed/2 Bath house has an open split floor plan and plenty of area to spread out. With its high vaulted ceilings, expansive rooms and oversize 3 car garage, this home has room for cars, toys and those interested in expanding. The large master suite with walk in closets, soaker tub and large shower, is located apart from the other bedrooms for individuals seeking a good nights sleep. Nestled on a corner lot in the back of the North Oaks Estates, this house is perfect for someone seeking quiet country living. Low HOA fees and community park/playground. Just a little bit of love and vision can transform this house into a wonderful home for the right new owner. Conveniently located near US 41, US 301 and I-75. A short commute to St. Pete/Tampa, Bradenton and Sarasota. Property is being sold "AS IS". Please submit all offers using an "AS-IS" contract.